Union Printed, Economy Two Tone White Sunglasses, They Feature an elegant Two Tone design, it also features UV Protection so you can wear them all day long! this is not only elegant designed but is also durable thanks to the strong Plastic Material. 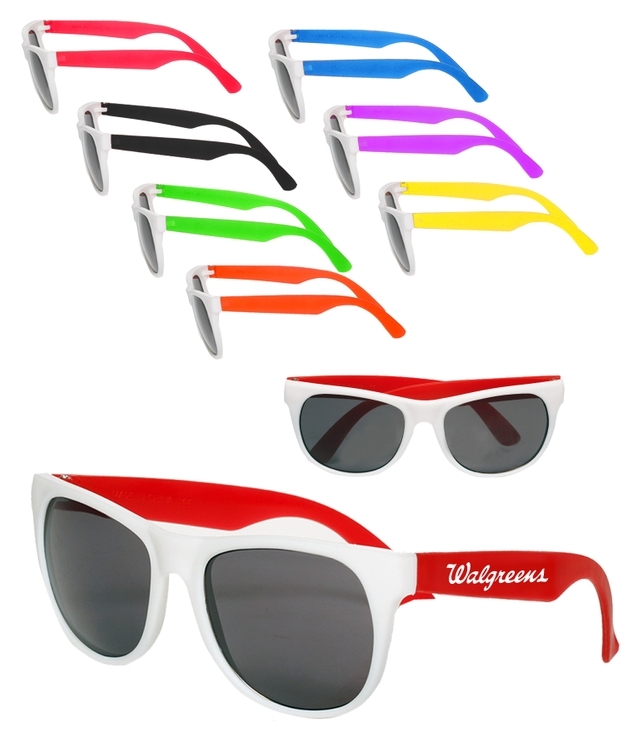 Get this Fashion Sunglasses, for a unique fun promotion! Decorated in our Union Shop - Union Bug Available at No Charge! • Imprint Area: 1.75" x .25"